Tell a friend or family member about One Baby Registry. 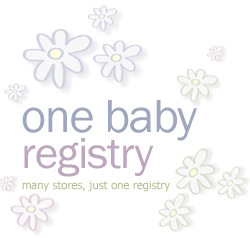 Hi, I came across this Baby Registry site, One Baby Registry, and thought you might want to check it out. You can add items from ANYWHERE, including Amazon.com, Target, Macy*s, JC Penney, and any other regular or online store. Here's the link - http://www.OneBabyRegistry.com.